Chris Christie discusses his new, headline-making book "Let Me Finish." Former New Jersey governor and ABC news contributor Chris Christie called special counsel Robert Mueller's indictment of longtime Trump friend Roger Stone "pretty damning." "Listen, I think if he decides to go to trial, he's in very, very grave danger," Christie, a former U.S. attorney, told George Stephanopoulos on "This Week" in his first interview promoting his new book "Let Me Finish: Trump, the Kushners, Bannon, New Jersey and the Power of In-Your-Face Politics." "Everyone is presumed innocent, George, and so is he, but the indictment, I think, is a pretty damning indictment," he said. 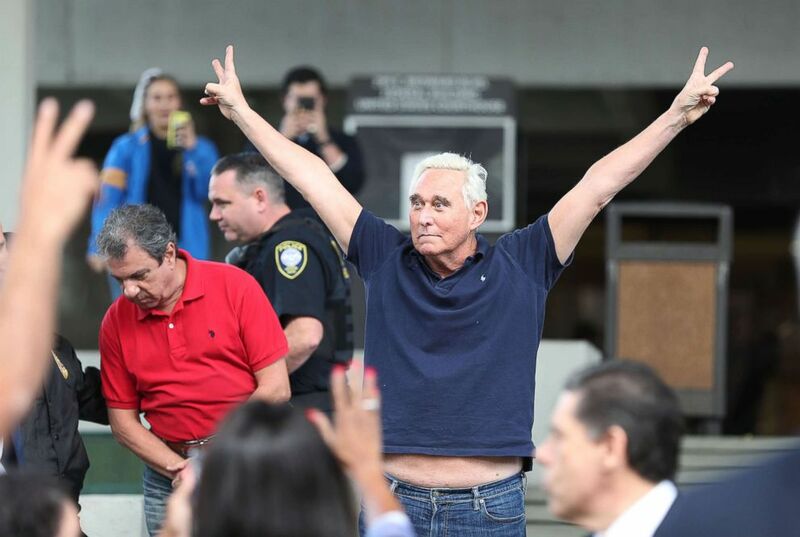 Stone was arrested early Friday at his Fort Lauderdale, Florida, home after the special counsel filed a seven-count indictment against him as part of an ongoing probe into Russian interference in the 2016 U.S. presidential election. The indictment includes five counts of making false statements to Congress, one count of obstruction of an official proceeding and one count of witness tampering. “This was an expensive show of force to try to depict me as public enemy number one, the OG, to attempt to poison the jury pool,” Stone said of his arrest, and accused prosecutors of using “Gestapo tactics,” a reference to the secret state police in Nazi Germany. Stone told Stephanopoulos that he has never discussed Russia or the Mueller investigation with President Donald Trump during or since the 2016 presidential campaign. “No, it’s not,” said Christie when asked to comment on Stone. “The fact of the matter is that every white collar defendant in this circumstance, when they’re confronted with a bunch of documents of their own making, try to say that they're out of context. If I had a nickel for every time I had a defendant tell me, when I was U.S. attorney, it was out of context, I’d be a rich guy, and I’m not." 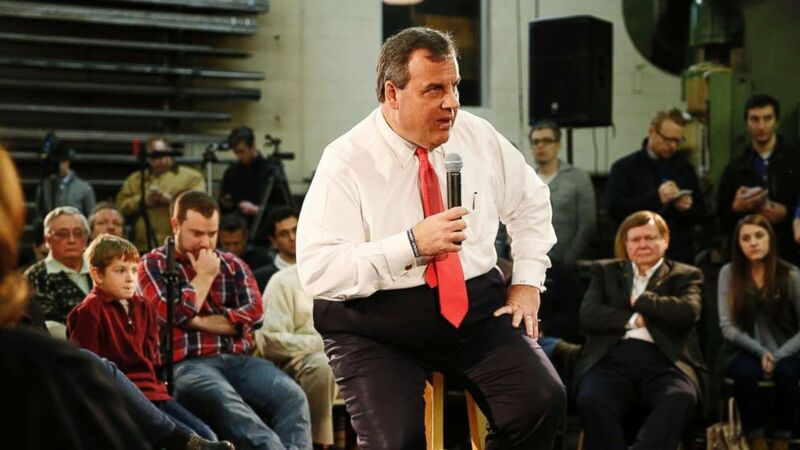 (Dominick Reuter/AFP/Getty Images) New Jersey Governor and Republican presidential candidate Chris Christie speaks at a town hall event at a metal fabrication company, Feb. 8, 2016, in Hudson, N.H.
“So the fact is that, you know, he’s got a problem. Because they’ve got all these e-mails and text messages that he created that tell a pretty clear story." On "This Week," Christie said it would not be “politically viable” for the president to pardon Stone if he were convicted. Christie’s new book “Let Me Finish,” takes readers inside the unorthodox Trump presidential campaign. After he dropped out of the 2016 Republican primary, Christie became the first major elected official to endorse Trump. Candidate Trump eventually asked Christie to run his transition team. In the book, Christie describes getting passed over for vice president. Then, just days after the election, he was fired from directing Trump’s transition. He accuses the president’s son-in-law and now senior adviser to the president, Jared Kushner, of performing a political “hit job” on him. (Shawn Thew-Pool/Getty Images) President Donald Trump, left, shakes hands with New Jersey Gov. Chris Christie at a panel discussion on an opioid and drug abuse in the Roosevelt Room of the White House March 29, 2017. 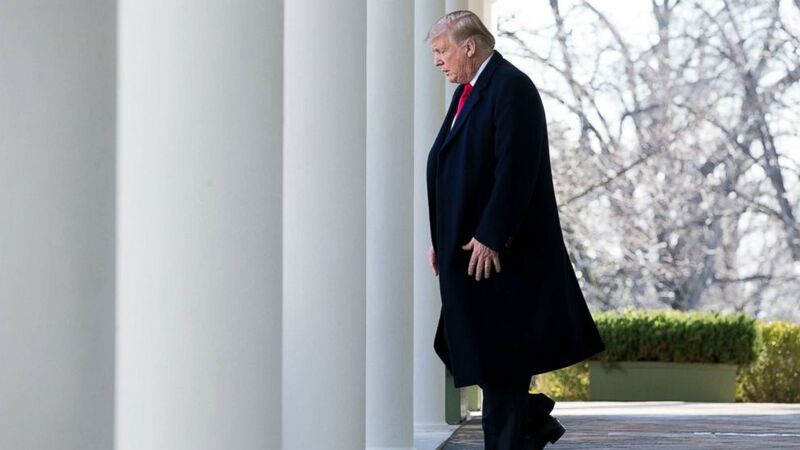 (Michael Reynolds/EPA via Shutterstock) President Donald Trump walks down the Colonnade to deliver remarks on ending the partial shutdown of the federal government, in the Rose Garden of the White House in Washington, Jan. 25, 2019. After the first intelligence briefing for candidate Trump, which both Christie and Flynn attended, Christie said he told the future president that “Flynn just does not belong close to” him. 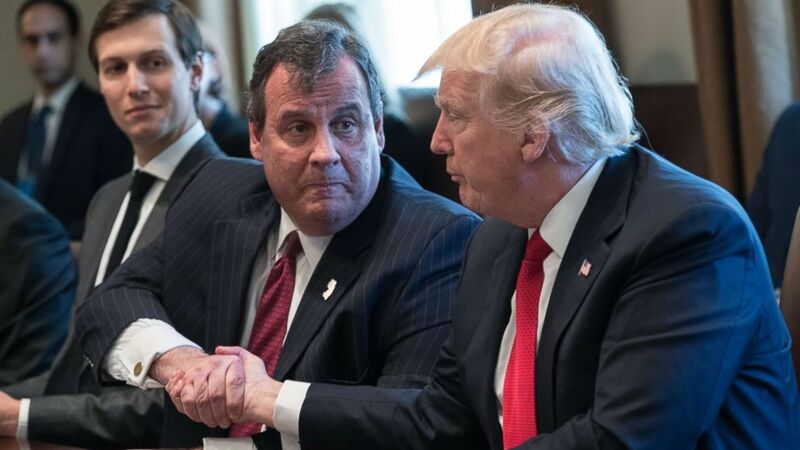 “And it culminates with the last conversation we had about Flynn right -- right after the election, where I said to the president, ‘You know, I don’t -- I don't think you should make him national security adviser.’" Christie said on "This Week." "The president said to me, ‘You just don’t like him.’ And I said, ‘You're right. I don’t like him. You want to know why?’” Christie said. ABC News' Mitch Alva contributed to this story.